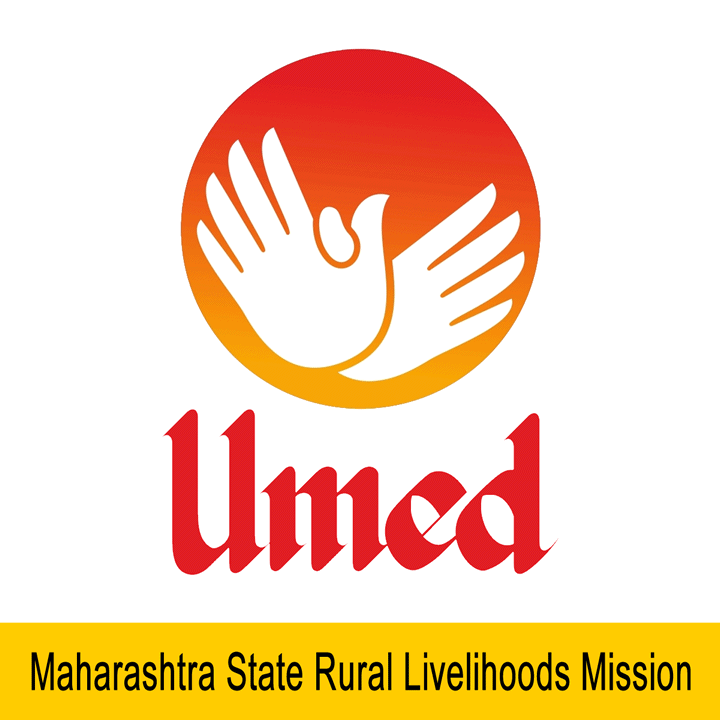 MSRLM Recruitment 2019 - Below are various recruitment notifications published by Maharashtra State Rural Livelihoods Mission - MSRLM / www.umed.in. As of now, we don't have any active recruitment notification by MSRLM featured here. We may update as soon as the organization announces a new job notification. If you are looking for any information related to previously organized recruitment drives by MSRLM, you can browse through previous job notifications mentioned below and get the new updates or information you are looking for. MSRLM Recruitment 2019 - Apply Online for 1360 Block Manager, Cluster Co-ordinator & Other Posts in MSRLM, Maharashtra. Online Applications are invited by Maharashtra State Rural Livelihoods Mission - MSRLM from 07 Mar 2019 10:00 AM to 27 Mar 2019 11:00 AM for 1,360 vacancies. MSRLM Recruitment 2018 - Apply Online for 110 Cluster Coordinator, DEO, & Other Posts in MSRLM, Nanded, Maharashtra. Online Applications are invited by Maharashtra State Rural Livelihoods Mission - MSRLM from 01 Dec 2018 to 16 Dec 2018 for 110 vacancies. MSRLM Recruitment 2018 - Job notification for Sr. Individual Consultant & Other Posts in MSRLM, Maharashtra. Applications are invited by Maharashtra State Rural Livelihoods Mission - MSRLM on or before 10 Dec 2018 till 05:00 PM for 4 vacancies. MSRLM Recruitment 2018 - Apply Online for 93 Cluster Co-ordinator, Peon, Accountant, Data Entry Operator & Other Posts in District Mission Management Unit (DMMU) - Buldhana, Maharashtra. Online Applications are invited by Maharashtra State Rural Livelihoods Mission - MSRLM from 24 Oct 2018 to 10 Nov 2018 11:55 PM for 93 vacancies. MSRLM Recruitment 2018 - Apply Online for 107 Cluster Co-coordinator, DEO & Other Posts in MSRLM, Maharashtra. Online Applications are invited by Maharashtra State Rural Livelihoods Mission - MSRLM from 27 Sep 2018 at 12:00 PM to 11 Oct 2018 till 05:30 PM for 107 vacancies. MSRLM Recruitment 2018 - Apply Online for 59 Cluster Co-Ordinator, Peon & Other Posts in DMMU Solapur in MSRLM, Maharashtra. Online Applications are invited by Maharashtra State Rural Livelihoods Mission - MSRLM from 05 Sep 2018 to 18 Sep 2018 till 05:00 PM for 59 vacancies. MSRLM Recruitment 2018 - Apply Online for 71 Cluster Co-Ordinator, Accountant & Other Posts in DMMU Washim in MSRLM, Maharashtra. Online Applications are invited by Maharashtra State Rural Livelihoods Mission - MSRLM from 05 Sep 2018 to 19 Sep 2018 for 71 vacancies. MSRLM Recruitment 2018 - Apply Online for 69 Cluster co-ordinator, Accountant & Other Posts in MSRLM, Maharashtra. Online Applications are invited by Maharashtra State Rural Livelihoods Mission - MSRLM from 29 Aug 2018 12:00 PM to 11 Sep 2018 05:30 PM for 69 vacancies. MSRLM Recruitment 2018 - Apply Online for Apply Online for 89 Cluster Coordinator, DEO & Other Posts in MSRLM, Maharashtra. Online Applications are invited by Maharashtra State Rural Livelihoods Mission - MSRLM from 06 Jun 2018 to 21 Jun 2018 for 89 vacancies. MSRLM Recruitment 2018 - Apply Online for 53 District Manager & Office Superintendent/ DM Posts in MSRLM, Maharashtra. Online Applications are invited by Maharashtra State Rural Livelihoods Mission - MSRLM from 24 Apr 2018 to 10 May 2018 11:59 PM for 53 vacancies.